It seems the updates keep coming through. After yesterday’s updates, it seems preparations are being made for the inclusion of the two new Tactical Troops, namely the Lake-town Pikemen and Longbowmen. If you go to your Barracks, the building requirements (not rss) can be viewed, and they mention another few additions, seemingly connected to the new Tacticals. Continue reading to see what is known right now. Below are screenshots of the two Tacticals in the barracks. The information given, such as might and upkeep, has been added to the Tactical Troops article, which will be further updated when more info becomes available. But arguably more interesting is the information in the requirements. What they do besides enabling these units is completely unknown at the moment. Especially the Oystering boat looks like nothing we’ve seen before. Whether you will place them in your city, or on new patches of land on the map, is unclear. Expect a new article on these when they are released. 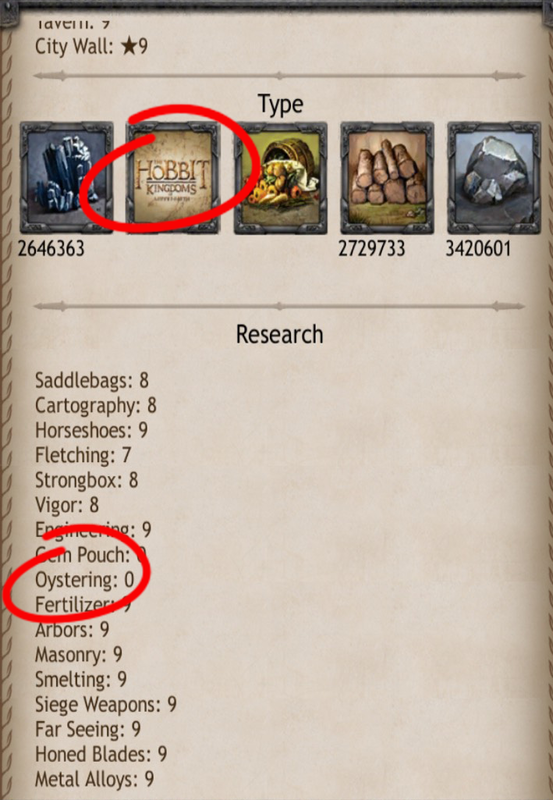 Another interesting fact is that city reports now also show a new research, Oystering, and a new type of rss: Pearls. See the screenshot below. The rss, research, buildings and TT are all connected somehow, and I will do my best to find out the details as fast as I can. For now, this is it! This entry was posted in Blog, General, War and troops and tagged barracks, city, kabam, kingdoms of middle earth, KoM, lake-town, lake-town tower, laketown, longbow, longbowmen, might, oystering, oystering boat, pearl, pikemen, rss, Tactical Troops, update by beardmonkey. Bookmark the permalink. There are screen shots of the new Laketown in the wild now. nr 3 siad hard to get hbc. bull its easy to get hbc . ive got hundreds of them just by killing smaug. Laketown – Middle-earth’s 5th City is approaching! More details about Laketown coming soon! I’m thinking the 5th City will be Lake Town. Perhaps has to be built on a lake, and not a plain. Considering we’re getting a new Smaug, That could be pretty interesting. At least, it would be if I were programming the game… (which I’m not). Kabam Dredge Pariah said: Pearls are a new Resource that will soon be released for consumption. Tactical troops will require enormous amounts rss. 30k food for example. yeah just learned about the pearls and added it to the article, thanks! 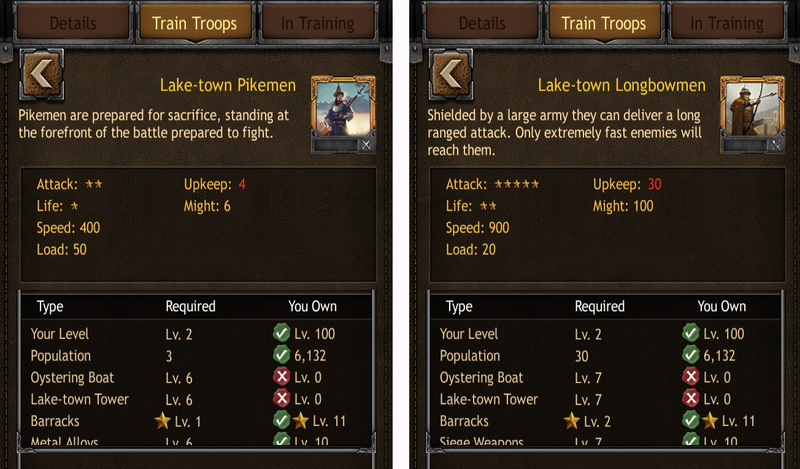 Hey … here’s a guess … Kabam will convert Lakes wilds to produce oysters instead of food. The oystering boat will be a resource building and the Lake town tower a city building and yes I agree it looks like oysters will be a new rss. its actually pearls it seems, and thanks for your thoughts!